Is Nigeria better off today than what she was 57 years ago? Are we celebrating 57 years of retrogression or 57 years of progress? Are we celebrating 57 years of heightened poverty, inflation, and unemployment or 57 years of a wealthy sadistic elite class? 57 years after, Great Britain has evolved with different set of leaders, 57 years after, we are still recycling the same set of leaders. 57 years after, the gap between the "haves and haves not" have widened and is unprecedented in our annals. 57 years after, we are celebrating the "suffering and smiling" of the commoners of this country". 57 years after, we keep on reading "how Europe underdeveloped Africa". When are we going to start reading "how Nigerian elites underdeveloped Nigeria".? 57 years after, corruption is worse than it was in 1960. 57 years after, it is no longer the 5 percenters Major Nzeogwu Kaduna complained of about the politicians of the first Republic but rather now the 80 percenters. 57 years after, even an idiot can become a billionaire in Nigeria not necessarily through hardwork but through the corrupt infected oil and political industry. 57 years after, snatching of ballot papers, inducement of voters, intimidation of political opponents, e.t.c that characterised the first Republic are still much in practice. 57, years after, our people are more hungry than they were before. If truth be told, 57 years after independence, we have proven incompetent of making this country great despite our potentials. 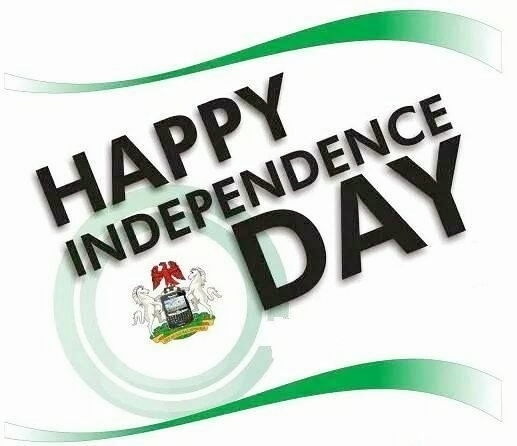 If we are to celebrate this 57 years of independence, it is to celebrate the resilience of the Nigerian people despite the hardship, the hunger, and the insecurity they have undergone for 57 years. To them I owe my independence celebration. And I ask myself, is there hope for a new Nigeria? There is hope for a better and prosperous Nigeria. Our solution does not lie in our elites, because in our 57 years of Independence, the elites class has created more problems for Nigeria than solutions. Our hope lies in the hands of our youths. Our youths have to break the chain of subservience and take the destiny of this country into their hands. Let the youths take the future, eschew and do away with the mistakes of the older generation and Nigeria will be great again.